Fáilte go dtí suíomh Scoil Náisiúnta Cillín Liath! Tá bunscoil Chillín Liath suite ar bhruach na hAoine i nGaeltacht na Dromoda i gCíarraí Theas. Cillín Liath National School is situated on the banks of the Inny River in the Dromid Gaeltacht in South Kerry. 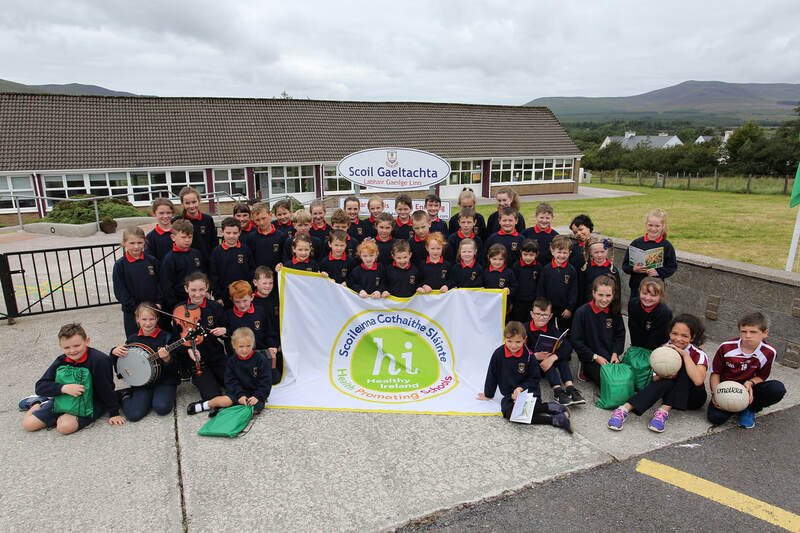 We signed up to the Gaeltacht School recognition scheme two years ago to grant our pupils an early fluency in Irish and to meet the growing demand for Irish language based education at primary level in the South Kerry area. Our school provides a high standard of education in an inclusive, safe and child-centred environment. This environment promotes our children’s growth, development and learning through the medium of Irish. Irish at Scoil Náisiúnta Cillín Liath is a vibrant day-to-day language. For prospective parents and for those of you that have chosen us as the vital first step in your child’s education, our children acquire the language naturally through its use in their learning, during play and informally throughout the school day. We encourage our children to be proud of our language and culture. We are now in the second year of a very successful total immersion programme in our infant classes. Our infant children have benefited greatly from this programme and enjoy speaking and learning through Irish. We are extremely proud of the level of fluency they have achieved. Gaeilge can be heard in the all our classrooms, on the school yard, during sport activities, at all school functions and in our staff room. Our success is evident in our proven track record of acceptance to Aonad Lán-Ghaeilge, Coláiste na Sceilge. Your child can join our school at any class and reap the benefits. We would like to announce that we are now able to offer this excellent first step to many more in the South Kerry area. We have school buses operating from Waterville and Cahersiveen each day, which will allow many more children to become bi-lingual and achieve fluency in Irish. Our children benefit from an array of after school activities and your child can too if you choose us; club ealaíne, club bácála, club mata, club spóirt, club scríobh. Cad ba mhaith leat a fheiscint ar cillinliath.ie??? What would you like to see on cillinliath.ie?? ?